Crafting with my kids is one of my favorite things to do. Giving them a few tools and watching their imaginations work is a blast. 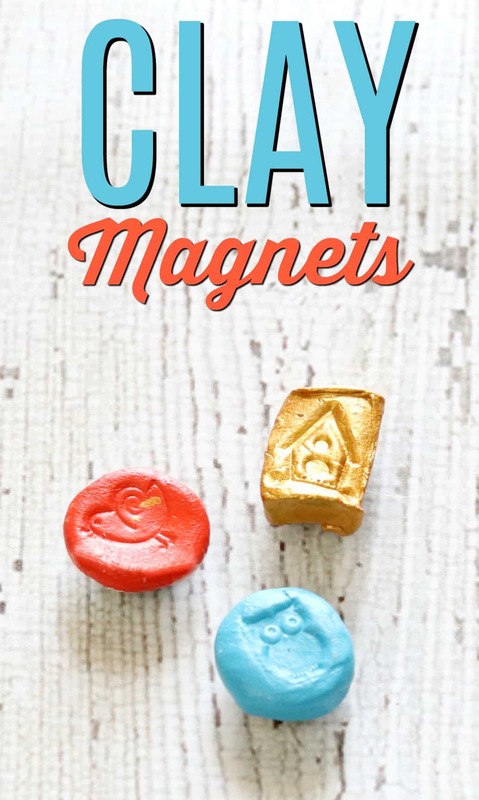 These air dry clay magnets are a fun project to do with kids of all ages. They are easy and allow kids to put their own twist and make each clay magnet unique. Watch this Facebook Live and see how my 4 year old and I made clay magnets on a snow day. I enjoy using air dry clay with my kids for a few reasons. It’s nice and soft right out of the package, similar to play-doh. If we want to keep a creation, we just set it aside to dry for 24 hours until it hardens. If we don’t love the creations of the day we just put it back in an air tight bag and play with it next time. 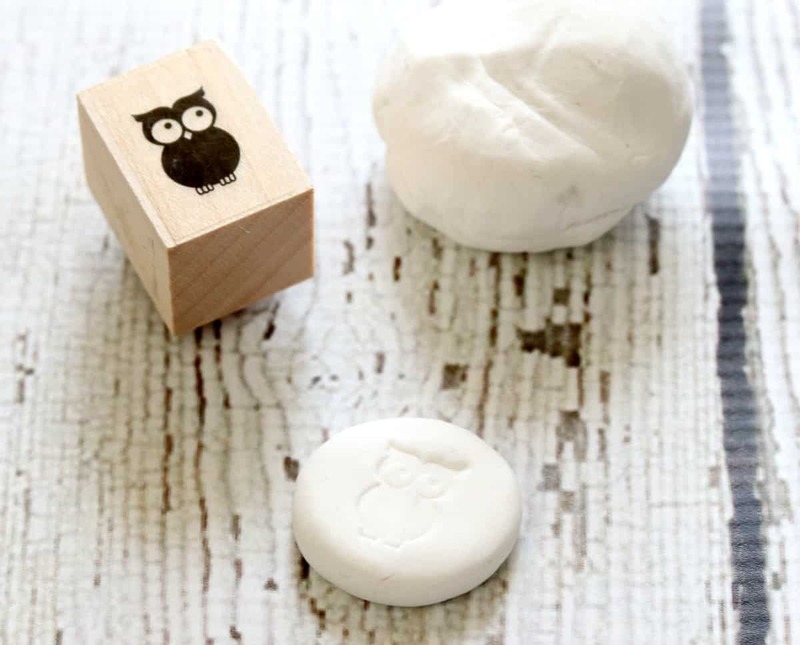 Then grab a wood stamp and press a cute image into the clay. Let the disc dry for 2 hours until it is nice and hard. 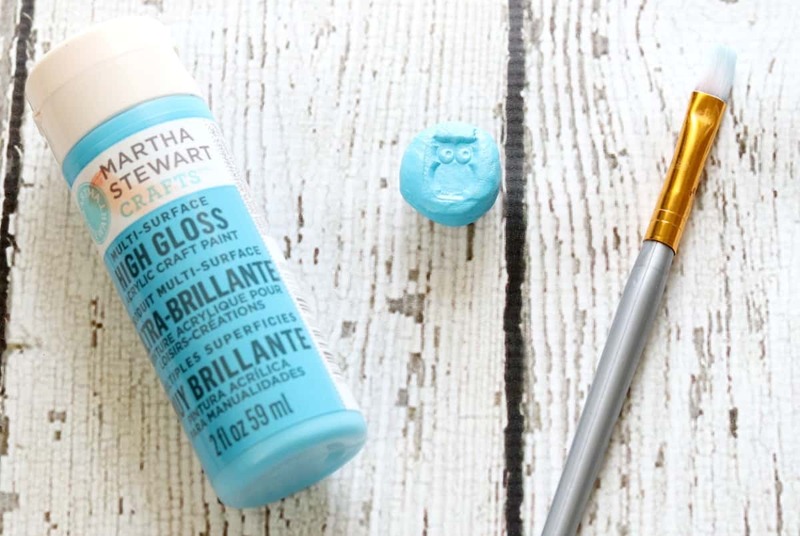 Once the clay is dry and hard, brush on a high gloss paint like this Martha Stewart paint. 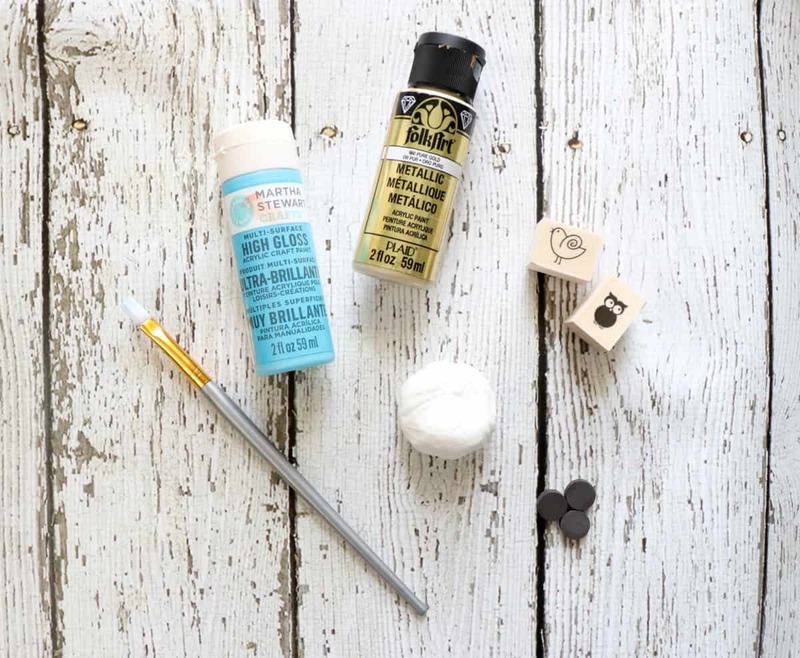 Any acrylic craft paint will work, but this paint leaves a beautiful shine on your clay magnets. 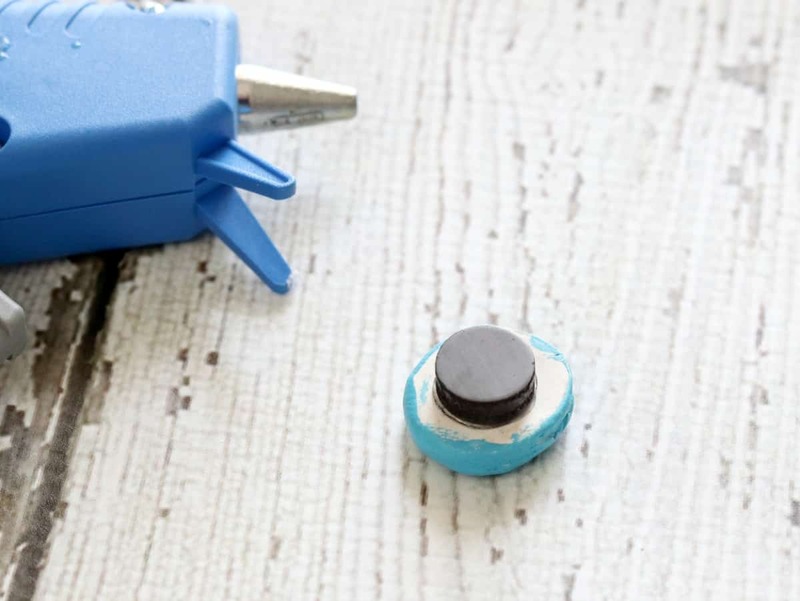 Glue a magnet on the back and your clay magnets are ready to use! I often glue the magnet on first before I paint, that way I can hold onto the magnet and not get paint all over my fingers. The kids don’t seem to mind messy fingers as much as I do. 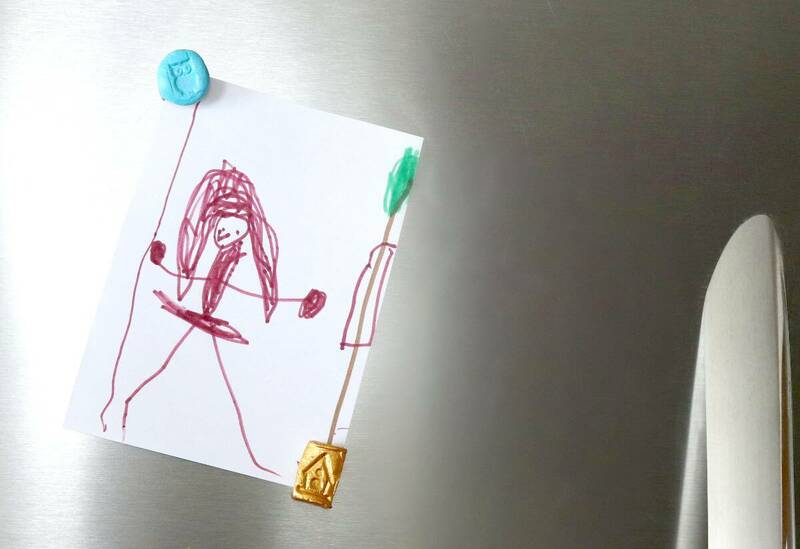 These magnets on are my fridge and any other metal surface in the house. Not only do they hold up art, they are little works of art themselves. 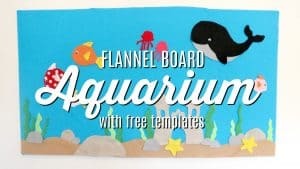 Try this activity with your kids and let them get creative. 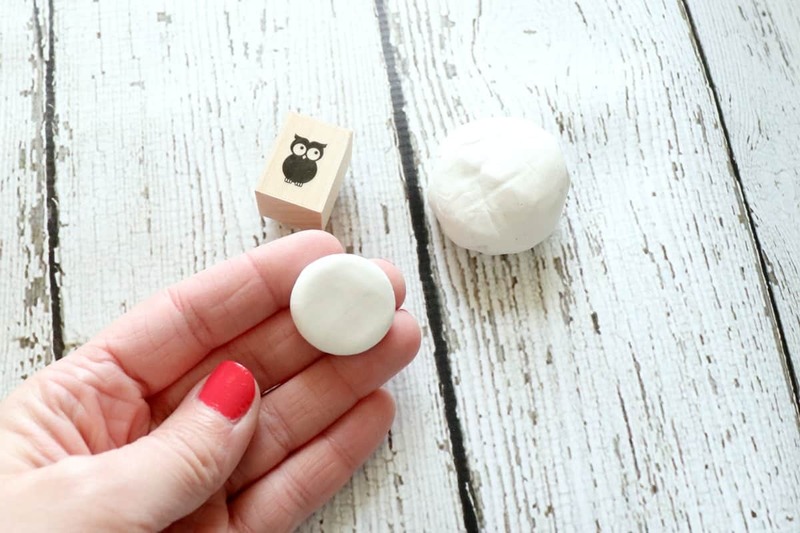 These clay magnets are little works of art that you can keep around and use everyday.